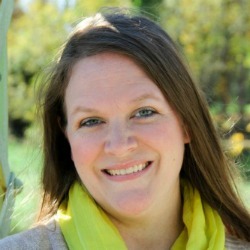 One of the most common struggles homeschool moms admit to is consistency. 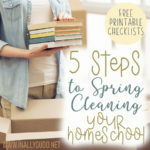 They jump feet first into the deep end of the homeschool year and find themselves underwater and struggling to get it all done. What if I told you it doesn’t have to be this way? What if you could begin your days with delight and eliminate the drudgery that comes from being overwhelmed? This isn’t some magical formula or clever way of tricking your children into compliance. It’s simply morning time, done well. Morning time is a time to come together. 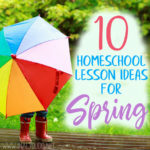 It’s a way to bring joy and simplicity to your homeschool. It’s a time to explore big ideas with your entire family. It’s a time to build relationships. And it’s a solid foundation upon which to build homeschool consistency. 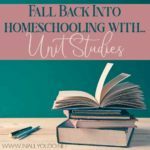 When we try to go from the slow paced days of summer or a long break and jump straight into full-throttle homeschooling, we are setting ourselves and our children up for failure. We are trying to go from zero to 60, and we aren’t cars. We are people who need to take small steps towards a goal in order to be successful. 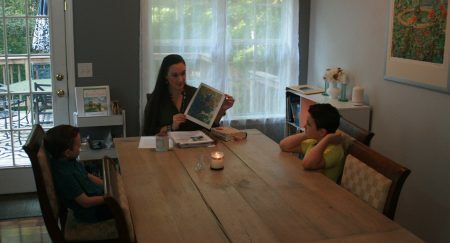 By beginning to dip your toes back into homeschooling by utilizing morning time, you will make the transition much easier on you and your family! 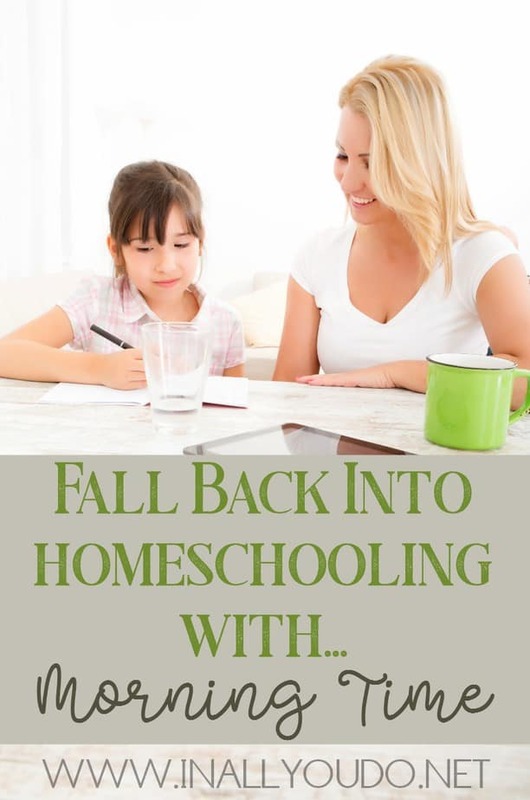 By transitioning slowly and adding in 1-2 additional subject per week, you are taking a gentle approach to getting back into the full swing of homeschooling and allowing yourself time to process how everything is working. This allows for adjustments in small increments so you don’t feel like the overall plan is failing if something isn’t working quite right. Doesn’t that sound better than wailing and gnashing of teeth? We use The Homeschool Garden as our morning time base. 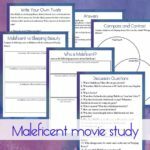 It covers our art study, music study, poetry, and other traditional morning time subjects spread out in a simple schedule that covers 2-3 of these per day. (If you’re curious about our full morning subjects schedule we laid that all out here.) This simple 2-3 subjects per day is how you can ease into your homeschool year. What subjects should they be? That depends on your family! We always include read alouds in our days so that’s an easy one to have be part of morning time. Bible, hymns, art study and lessons, handicrafts, and even history and science can be part of your morning time. The important part is to only choose 2-3 and those are the ONLY subjects you cover during morning time the first week of your new homeschool year. The following week, you add in other 2-3 subjects, and the same the week after that until you have everything added and adjusted to work best for your family. A good rule is to add one academic subject (like math) and one gentle subject (like art study) to keep you and your family from getting stressed out. For younger learners, only adding 2 subjects per week until you reach your desired daily amount of time spent on bookwork is a good pace. For older students, adding 3 subjects a week allows you to get into your full schedule sooner and they are better able to help you know if adjustments need to be made. And that’s just a start! Any subject that your students can work at their own level while listening to you read the same text is one that you can potentially include in morning time/morning subjects. All you have to do is schedule it our inappropriate chunks and then you’re set! 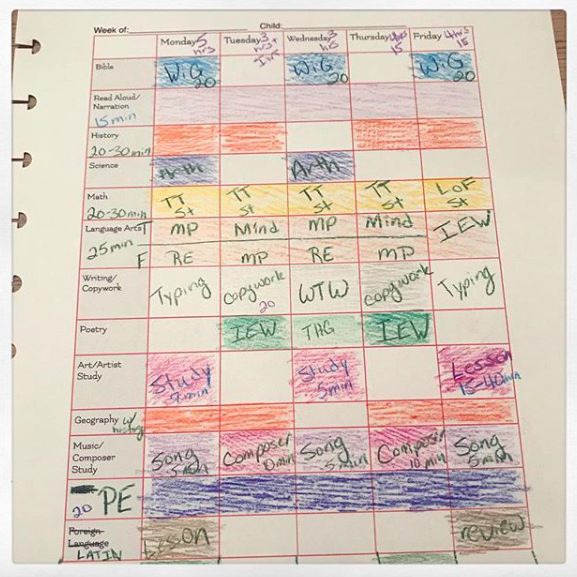 For an example of one way to create your schedule, here’s a photo of my subject grid, colored in for the days we do those subjects. Many of these subjects are incorporated into our morning time so our overall homeschooling day really isn’t that long and we have lots of fun learning together. Another benefit to adding just a few subjects a week to your morning time allows you to know when you have added too much. While we never like to take things back out, it is sometimes necessary in certain seasons to do so. There is nothing wrong with that! We all have limits and there is no need to make morning time into a chore. 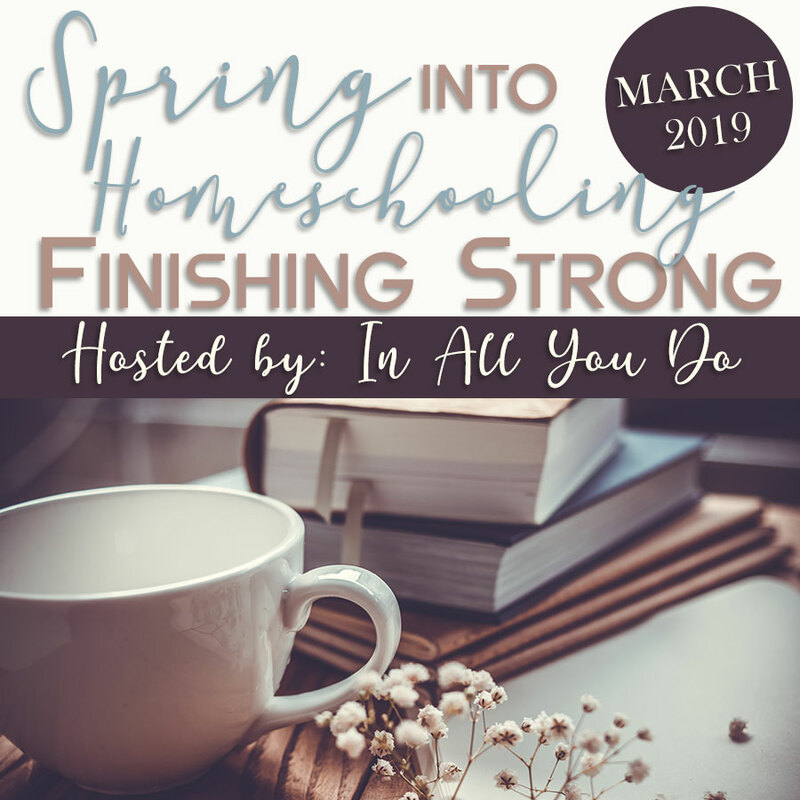 So tip-toe into your homeschool year, spend time connecting with your family, delight in the ideas you discover and discuss, and delve into the wonderful world of morning time. I love this idea. We use morning time (circle time) to do our joint subjects (read aloud, Bible, Science, Financial Peace, music), but I love the idea of using it to ease into the school year. I would get the table of elements activities if I won. 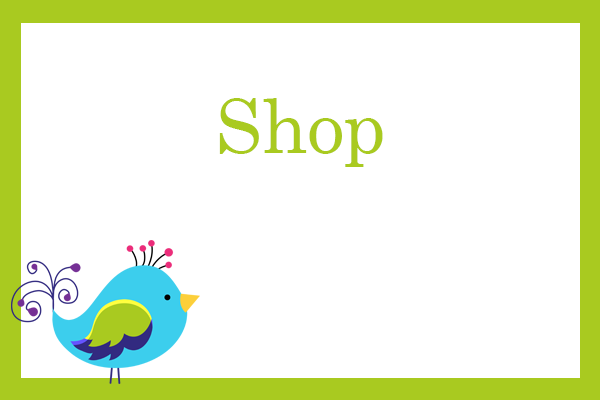 I really like the Writing Bundle Pack, Periodic Table of the Elements Activity Pack, & the State Bird Art Cards. MI is my home state. I’m definitely looking for a good routine for our mornings. Thank you! Writing Bundle, Table of Elements, and Sensory Pack. Sight Word of the Week would be a choice.